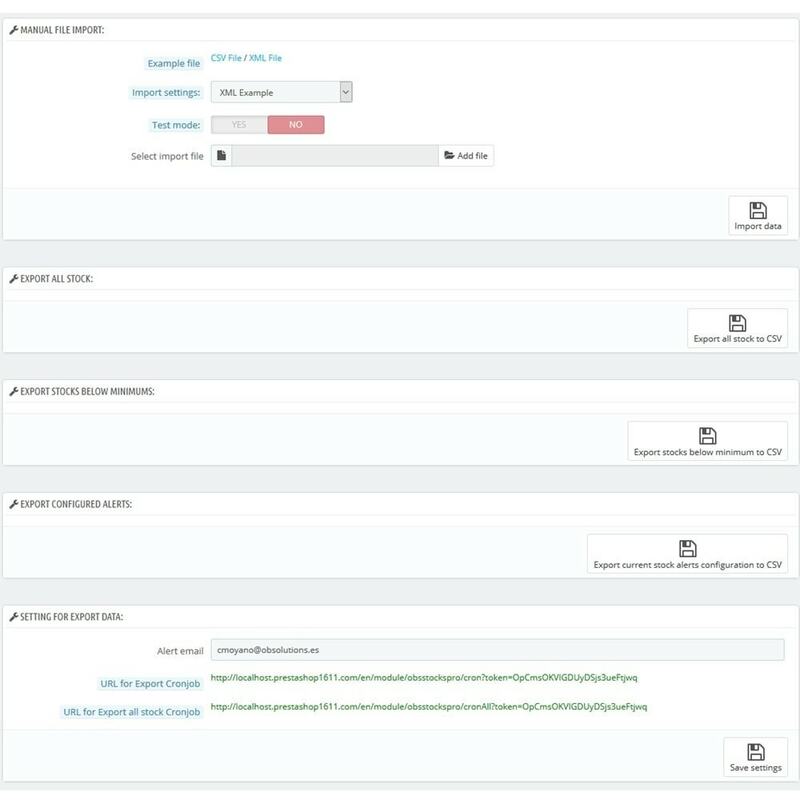 Save time updating product data automatically from your Prestashop store with this updater module. 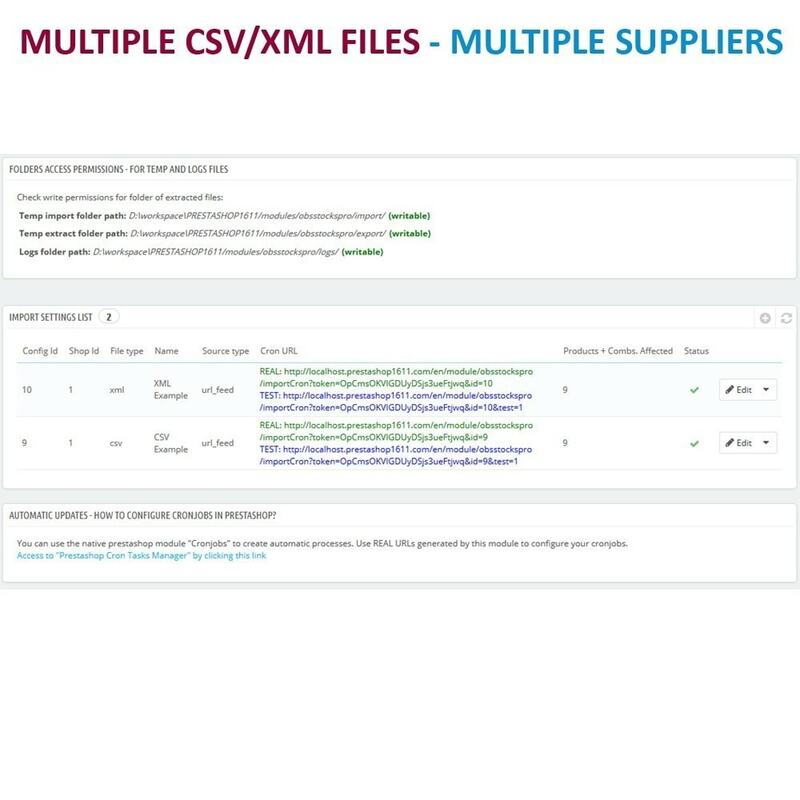 This module allows you to configure all your suppliers' CSV / XML files with the ability to add product filters for each of them. 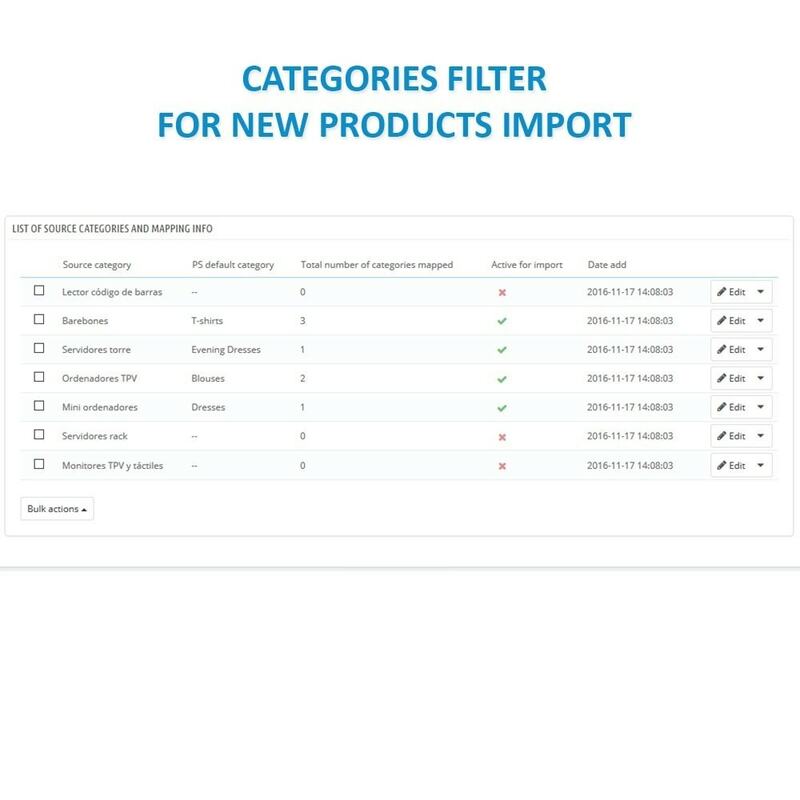 It allows you to import new products that are not in your catalog and to filter the categories you want to import as well as to relate the category of the supplier with the category of your store. 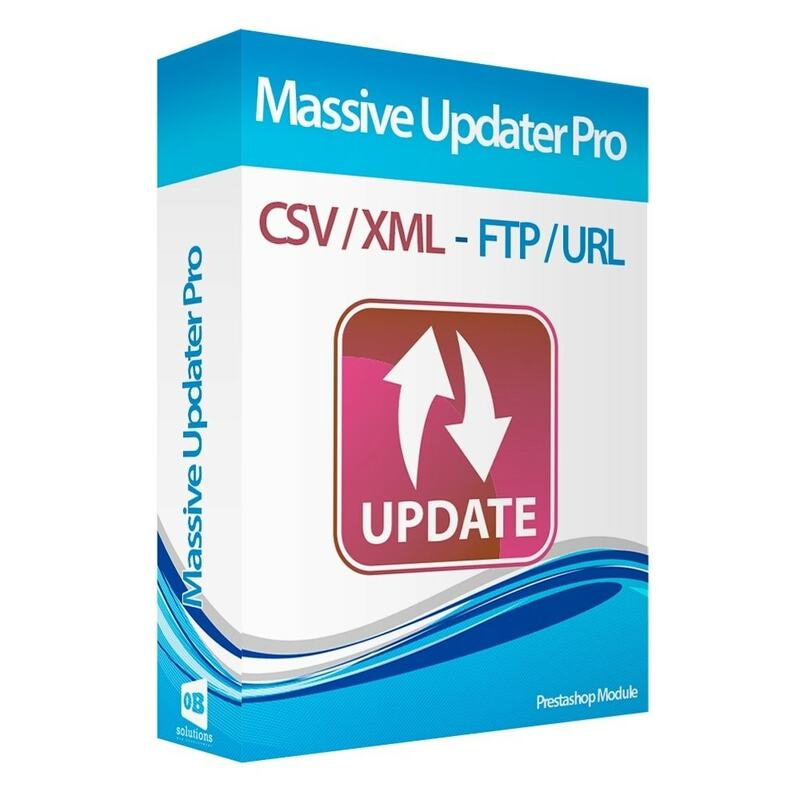 This module conforms to different configurations of the CSV / XML files from your suppliers. 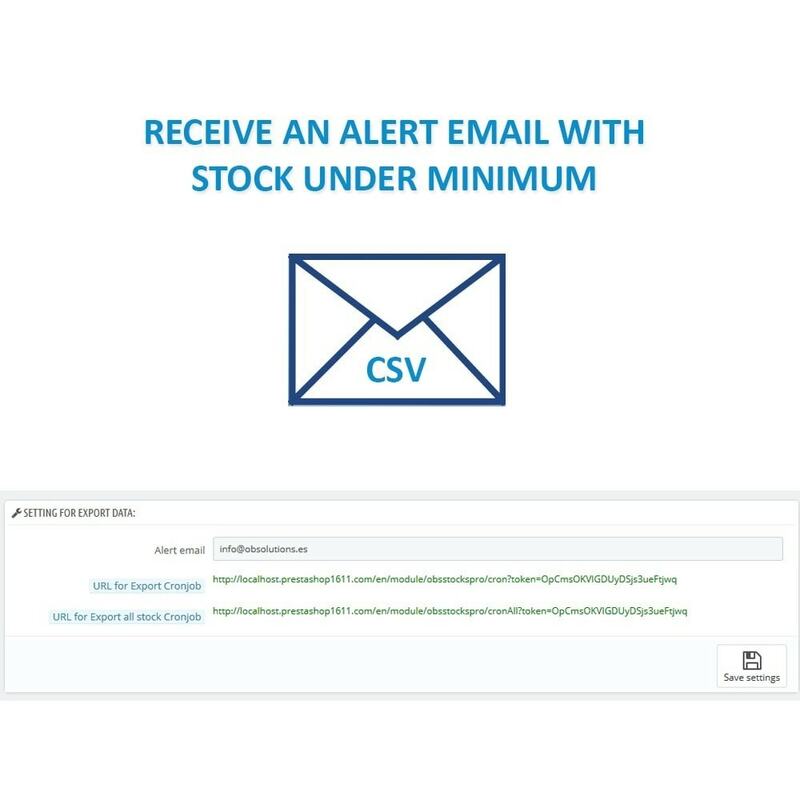 You can also set the threshold stock (quantity) at least product and configure an automated process that will allow you to receive an email periodically with the stock below the minimum threshold set. And you can also export all the current stock of your store whenever you want. 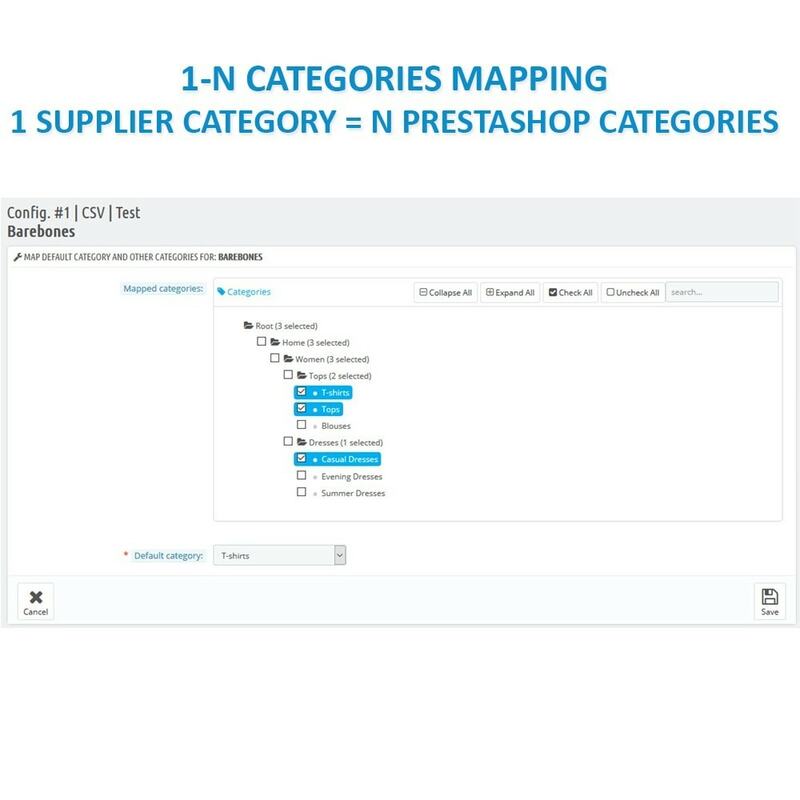 Now includes supplier category filter and relationship between supplier category and Prestashop category for new product import! 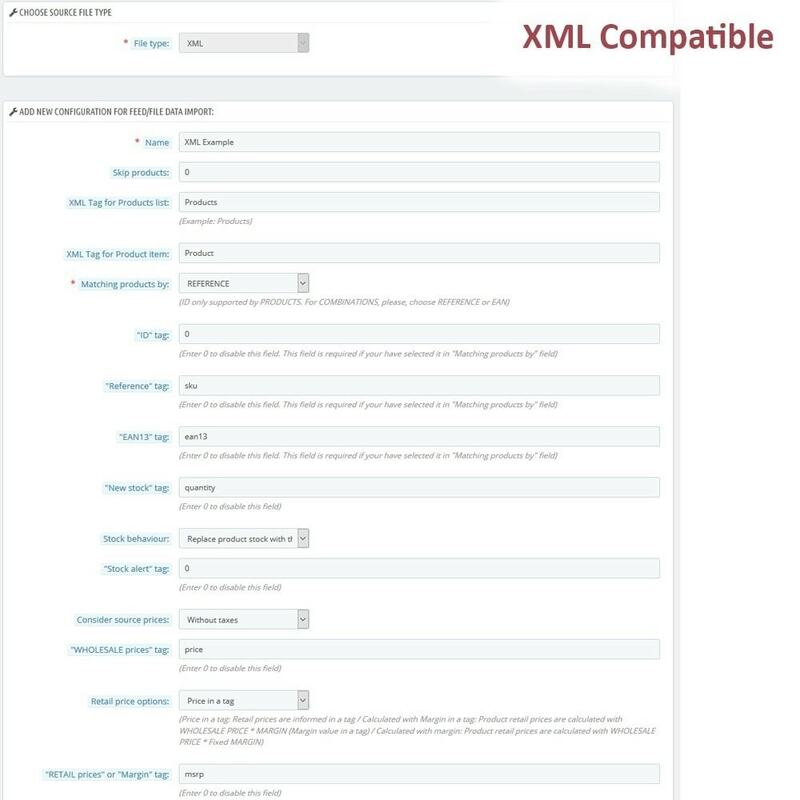 This module allows you to use XPath nomenclature to configure complex XML files. 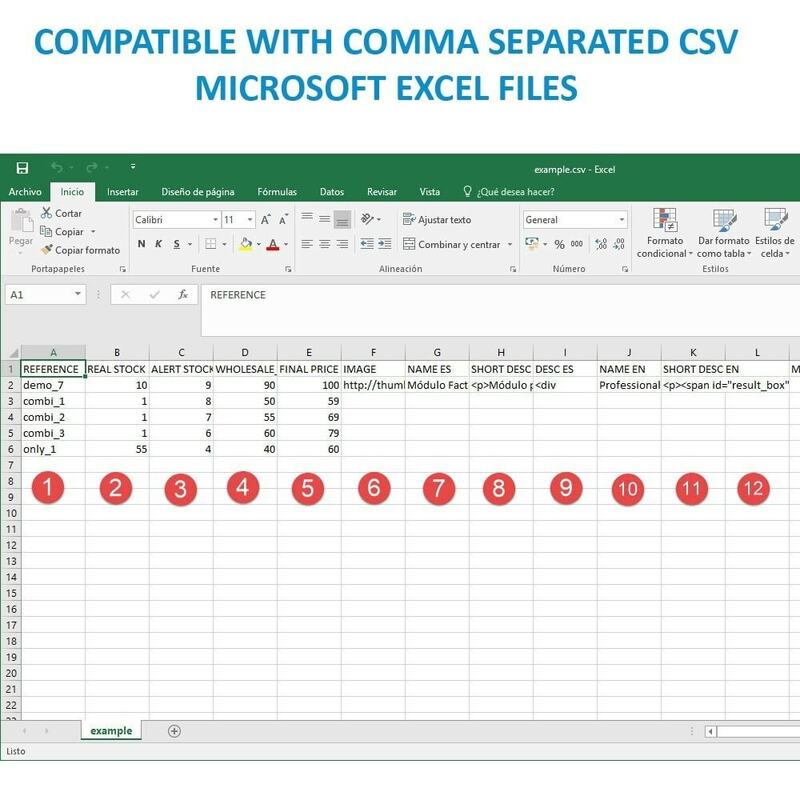 The Final Price can be set on a column in the CSV/XML or calculated from the wholesale price and a fixed Margin or dinamic Margin per product. 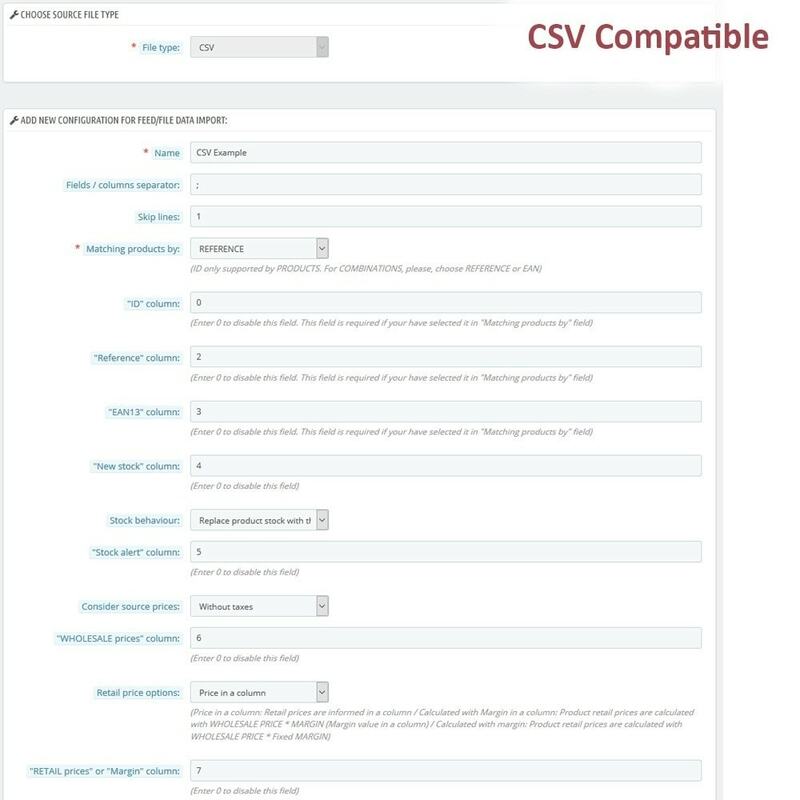 Product filtering for every CSV/XML configuration. 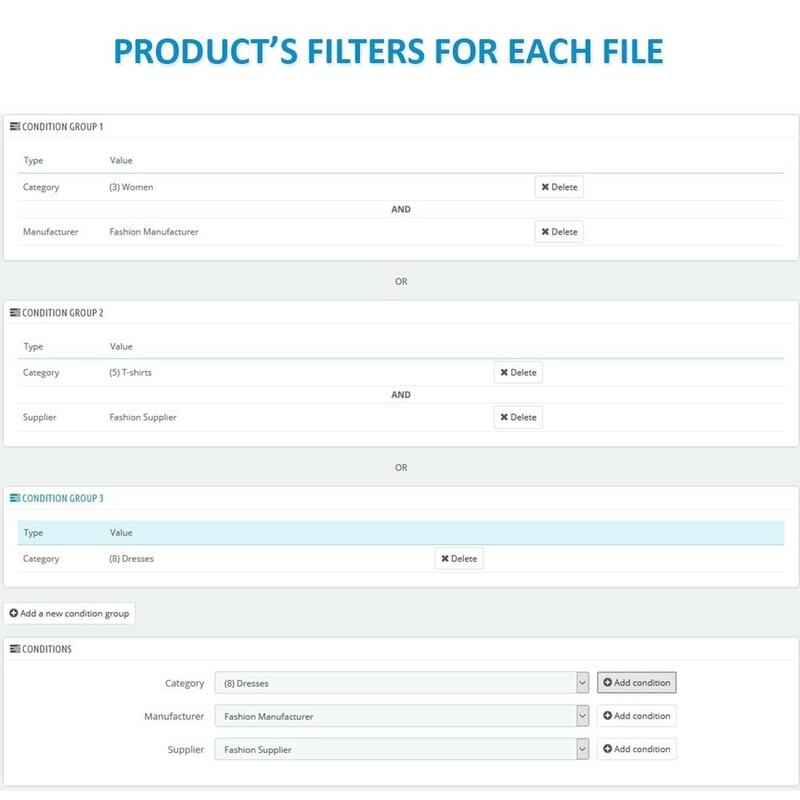 Possible filters: By Category, Supplier , Manufacturer. 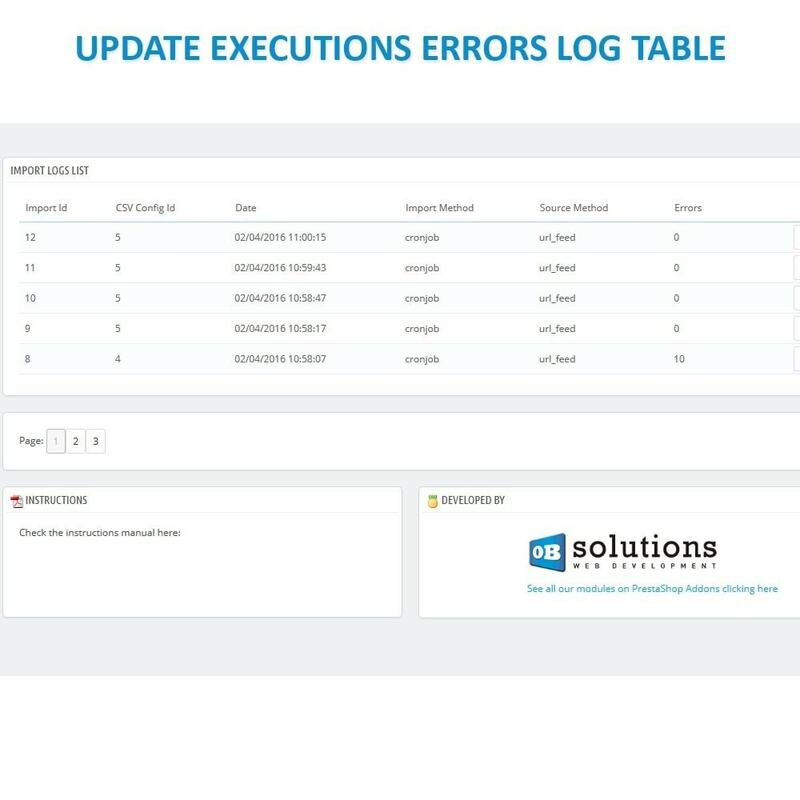 Generate info LOGs everytime a massive update is executed. 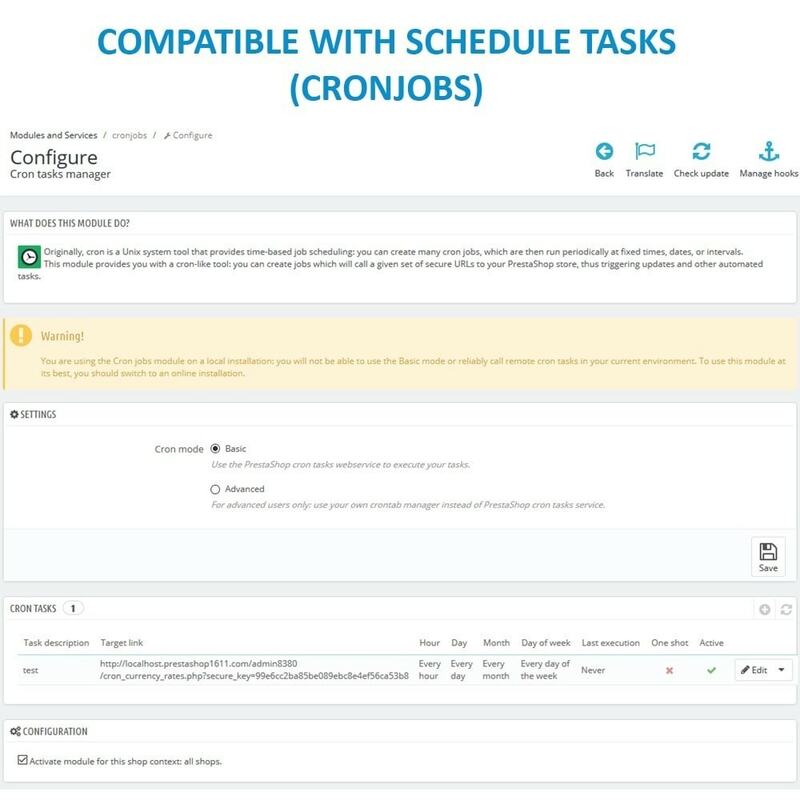 Both automatic or manual. What to do when it is not in stock. 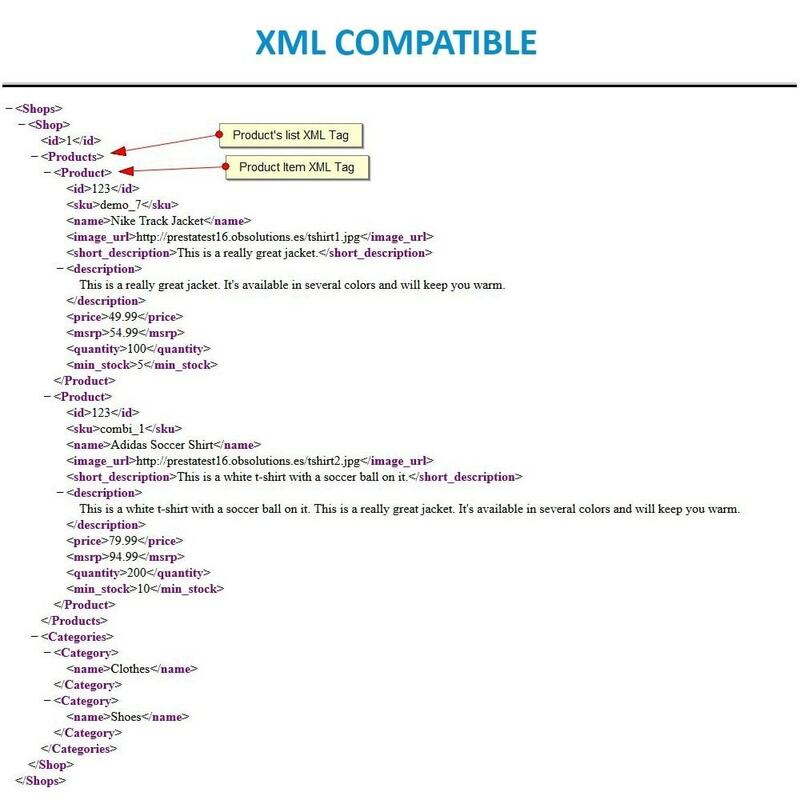 Text that is shown in stock. 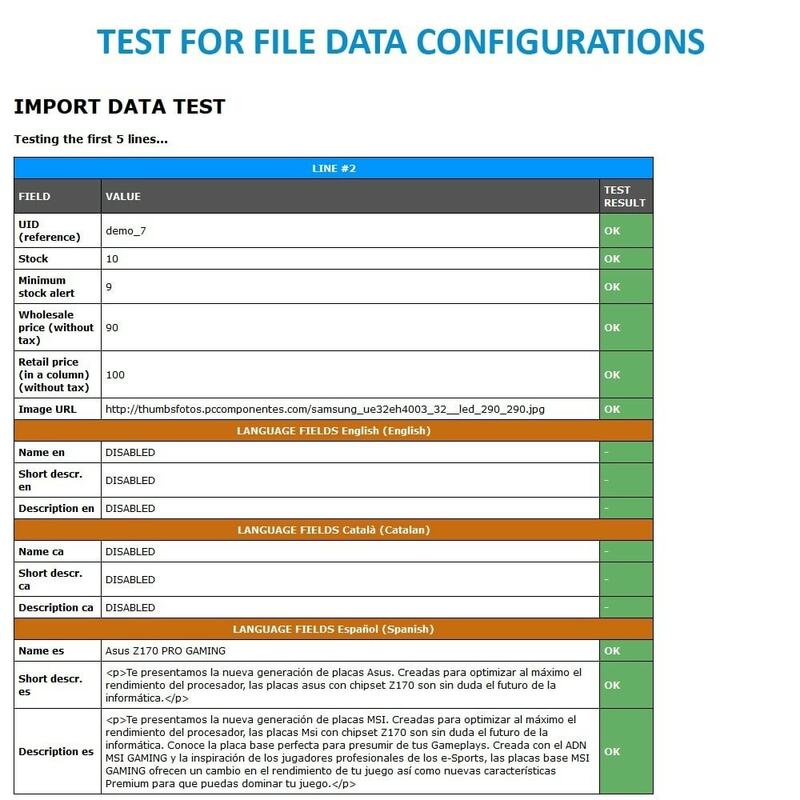 Text that is displayed when there is no stock and purchases are allowed. Whether it is on offer or not. 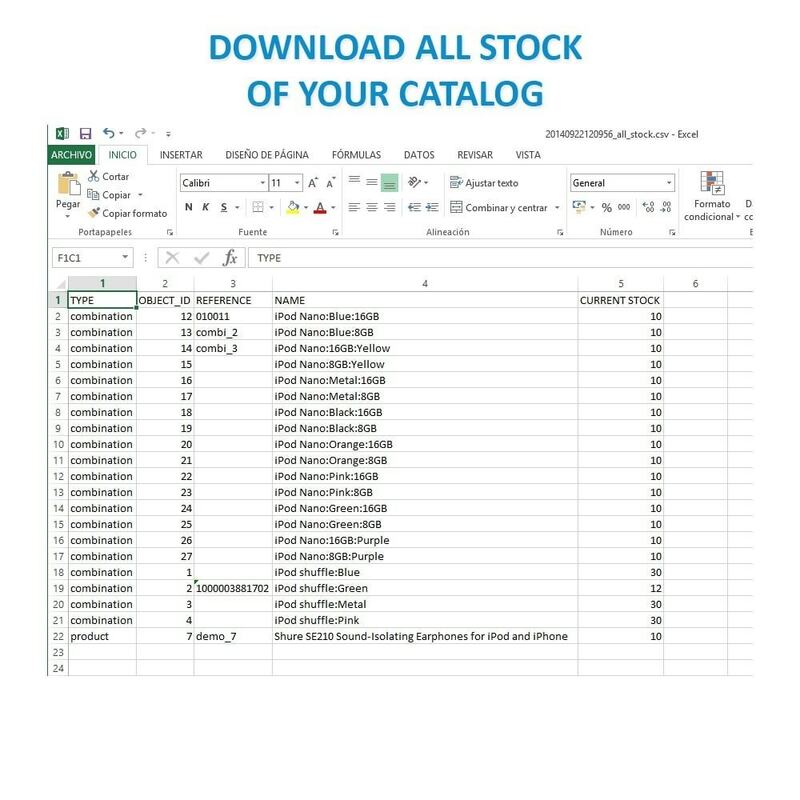 To make prices and stocks synchronizations in those catalogs that include products with combinations, combinations need to have their own reference (or EAN13) and in the source file come reflected the price and stock for each particular combination reference. 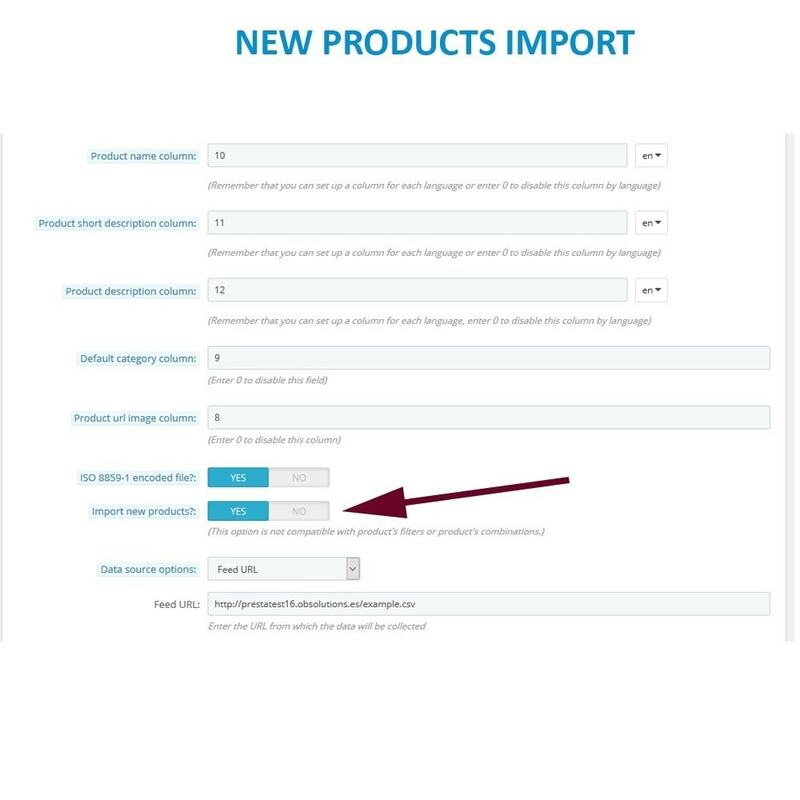 Product 'Name' field is required, at least in the default language of the store. 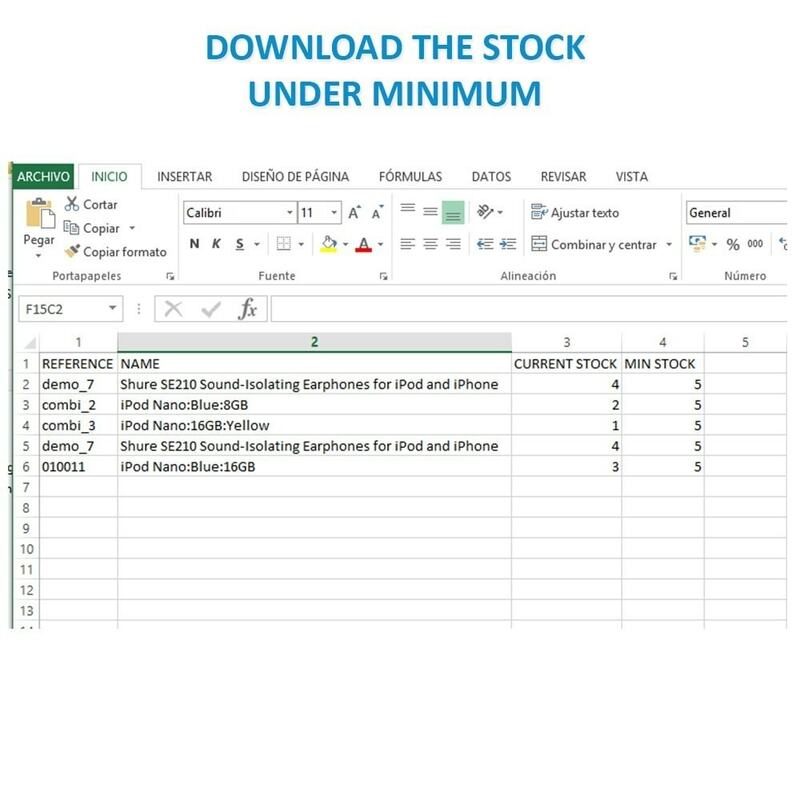 This module does not support the advanced management of stock. 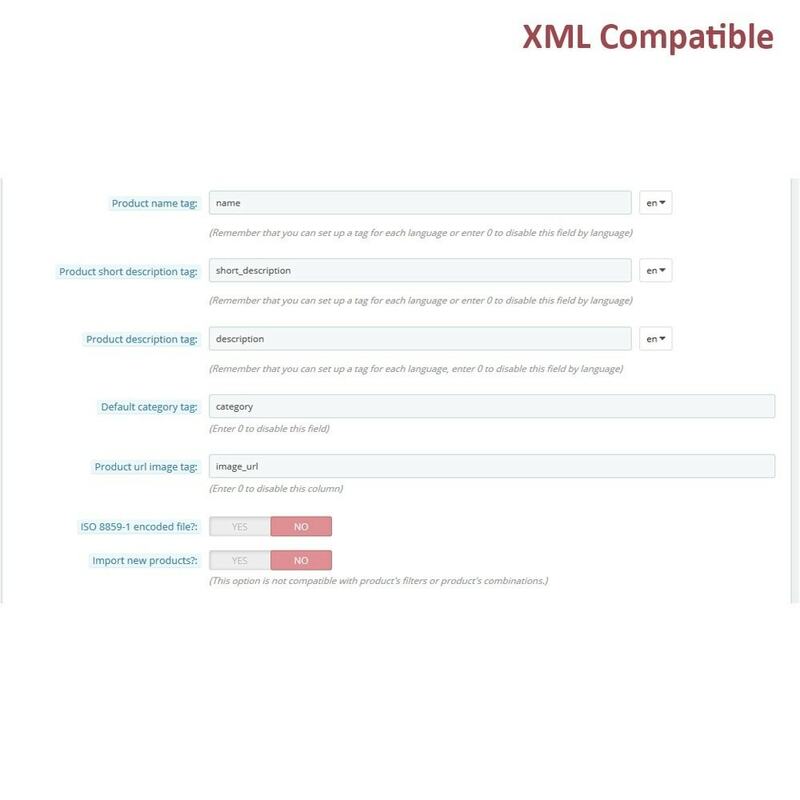 Depending on the product quantity of your Prestashop's store this module could need lots of time to complete the execution of all product updates. 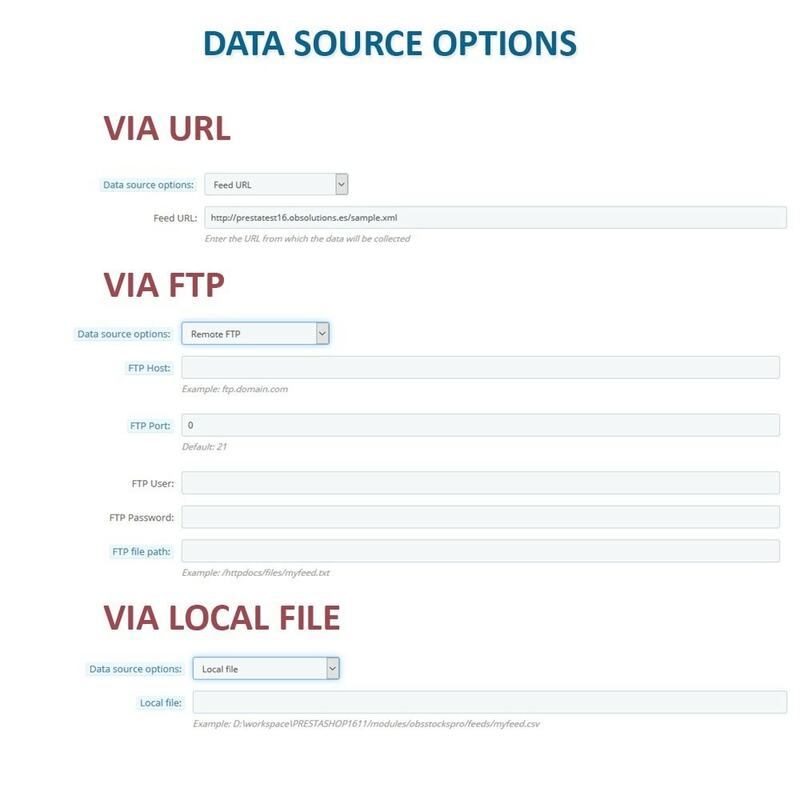 So we recommend to increase or disable the maximum time of execution of PHP process of your server.